Are you a first-time home buyer considering a fixer-upper? If so, the first thing you should know is that buying a fixer-upper is quite different than what you may have seen on TV. While it can be an amazing experience if you find that diamond in the rough, it can be downright terrible if you end up with a money pit. If you’re willing to take the risk and put in the work, investing in a fixer-upper may be your ticket to live in the house you’ve always dreamed of. But to make sure the risk is worth it, here are some factors you should consider. You should first figure out how much home you can actually afford. The standard method of calculating this is typically based on your annual income, monthly spending, down payment, type of loan, and current average APR. Generally speaking, the higher your income and the lower your spending, the more house you can afford. Also, a higher down payment requires a smaller loan, which means ultimately paying less in interest, as well as lower monthly payments. When you’ve estimated how much you can spend on a home, the next step is to look at houses available in the neighborhoods you and your family are interested in. Part of what makes fixer-uppers so appealing is that you can find a house that needs work for much cheaper than comparable homes in the same area. Once you put the work in and get the house move-in ready, you’ll have bought a house in a great neighborhood for a bargain, and your investment will pay off. Look for a house that’s selling for 20-25 percent less than homes of similar size in good condition, and also consider the number of bedrooms and bathrooms when you’re comparing prices. Once you’ve narrowed your search down, get any house you’re considering buying inspected by a professional. An inspection will show you what needs to be fixed and if there are any code violations. It’s also a good idea to have a contractor come in and do a renovation estimate. Though this can cost a few hundred dollars, it’s money well spent because it will help you through the rest of the buying process. When you get your estimate, add 5-10 percent to the costs for unforeseen issues. A good sign that you’ve found a diamond in the rough instead of a money pit is if most of the renovations and repairs needed are cosmetic. If you’ve followed the previous steps and found a house that is structurally sound, you need to make a mock plan for repairs and renovations to be certain the home will be worth the investment. Even if you plan on staying in the home forever once it’s fixed up, you never know what life will bring. So make decisions as if you’ll be selling down the road. 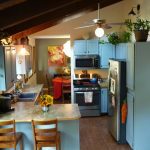 Sprucing up the kitchen is the fastest way to add value to your home. Then, you’ll probably want to take care of the master bathroom before you give the other rooms your attention. After you’ve completed a mock plan of all the renovations, ask yourself this question: Could you break even if you ended up having to sell? It’s ideal to have a house that could bring you a profit, but you at least want to be able to sell your house for what you paid for it. Buying a fixer-upper can either be an amazing experience or a horrible burden. You could go from bargain home to dream home or cash drain. It’s essential to consider all the factors before signing the papers. Remember to estimate how much you can afford, pick the right neighborhood, get a home inspection and renovation estimate, and make a mock renovation plan. 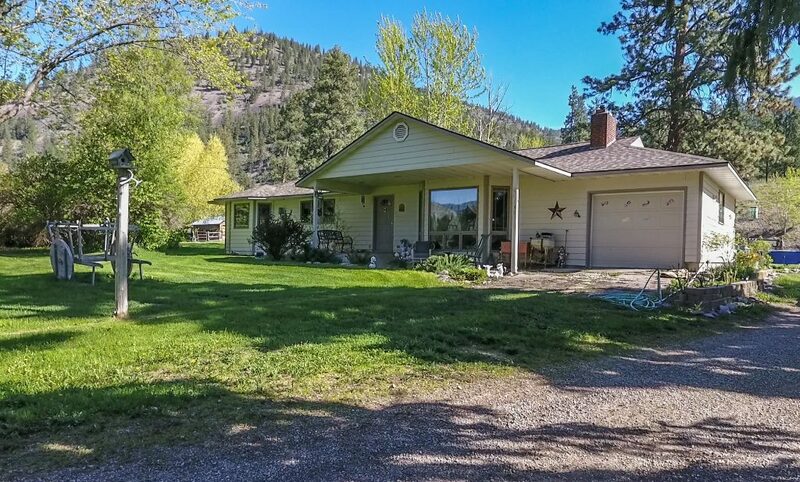 Almosta Horse Ranch is a residential property with 7.14 acres in total a stone’s throw north of I90 and the Clark Fork River. 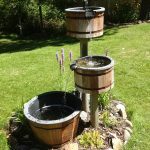 An excellent well serves both the house and irrigation. 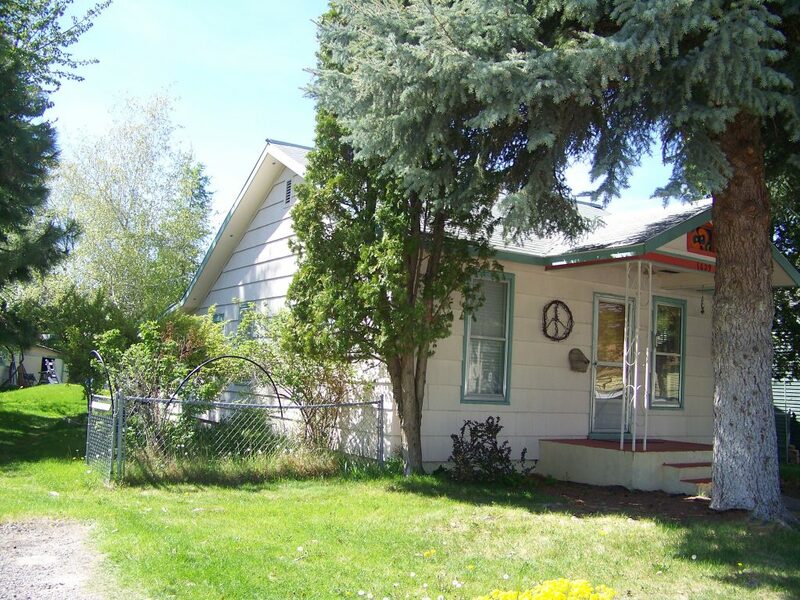 The ranch style home was built in 1956 with 1694 square feet on the main level, the same on the lower level with approx. 1594 finished. 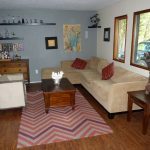 This spacious home has three bedrooms and a bath on the main level and one bedroom and bath on the lower level. There are also several bonus rooms and a large family room. A new roof in 2000, siding, doors and windows were done in 2010. 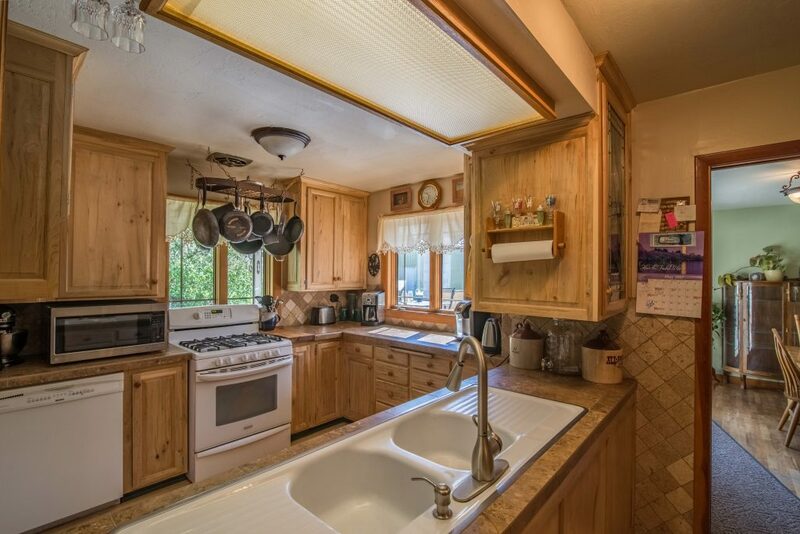 Custom made kitchen cabinets with ceramic tile counter-tops and a one of a kind 100+ year old oversized sink. New kitchen floor also 2010. 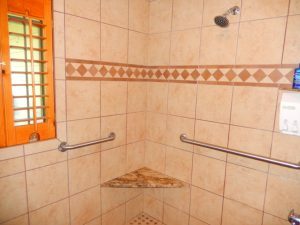 New 40 sq ft of tiles in a new shower replaced the old tub/shower with two shower heads, handrails and seats. Pocket doors were added to the shower and the room with the commode to offer privacy to this beautifully modernized bathroom. There are four sources of heat for the home, two pellet stoves one on each level, a wood burning stove in the kitchen and a heat pump in the basement which provides central heat and cooling. The attic is well insulated with a space tech blanket added in 2014. 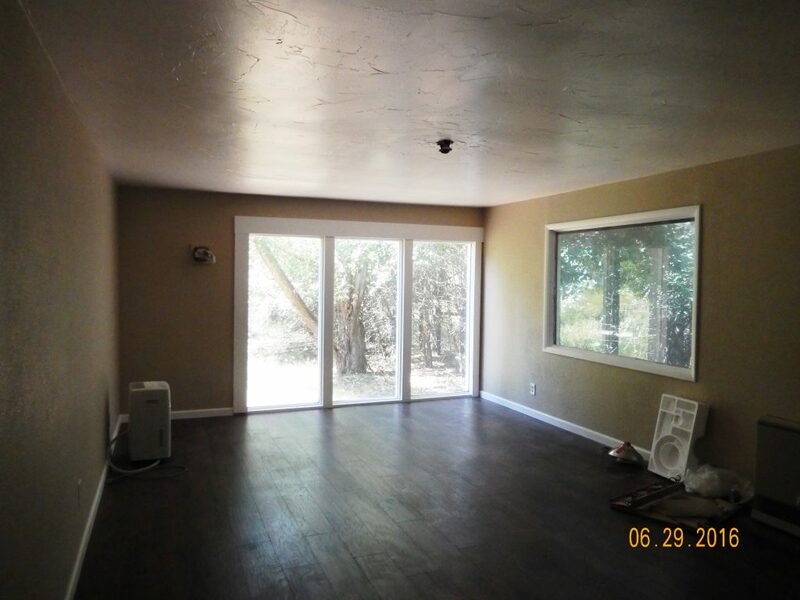 There is a single car attached garage and an additional 2400 sq ft garage for storage and vehicles detached. 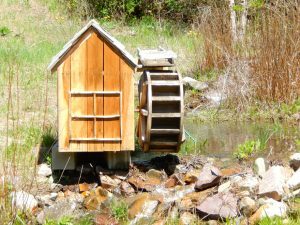 There is a creek fed irrigation system. Adams Creek runs through the property, some years it is year round others it goes underground at low water. A 6″ PVC pipe carries creek water to irrigation system providing more than 110 psi year round. System set up for firefighting, sending water more than 60′. Yards and pasture can be irrigated via 3″ irrigation system. There are 25 plus fruit trees, most just 3 or 4 years old, all varieties and the pride of the area a 100 year old Mulberry tree that still produces fruit. Spruce, Pine & Maple trees (20 or so) dot the acreage over 60′ tall. The outbuildings include the Spring House and an enclosed chicken coop. There is a wonderful hot tub that will stay with the property. Hand crafted furnishings, artwork, curios and more available please contact the listing agent for details. If you are looking for a property for your family this is it! 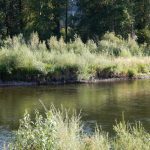 Close access to I90 and you are in Missoula in 25 minutes. 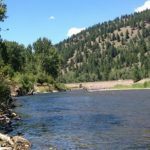 Enjoy fishing in the Clark Fork literally just across the street. 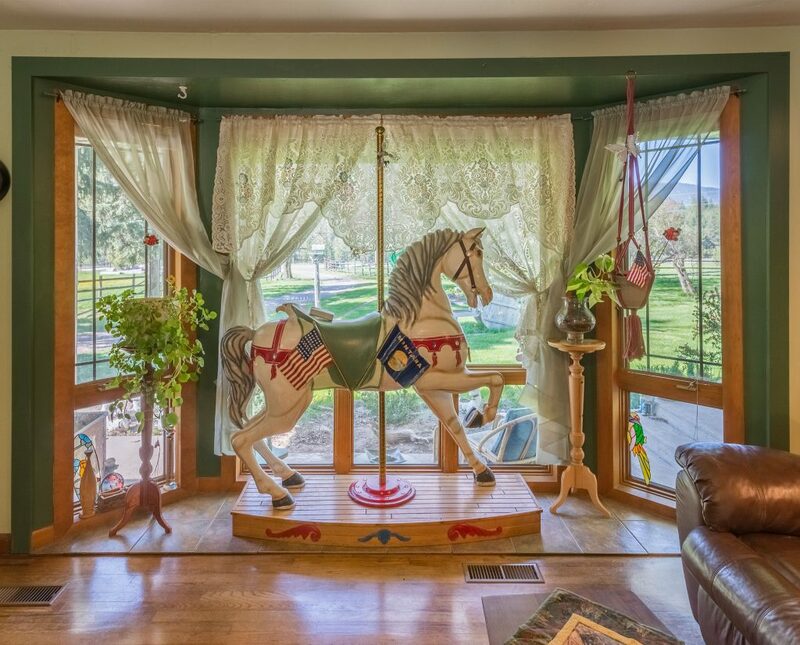 There is pride in ownership in all the details that make this unique property a show piece. Are you frustrated with the housing market? Are you getting different information and different opinions from every agent you speak to? Well the hunt is over. 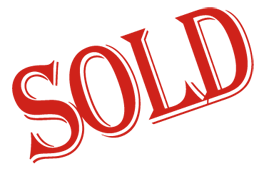 Sherry Fields will work with you to get all your questions answered, get your home listed and sold in the fastest possible time for the most money. Inflation is the rate at which the general cost of goods and services rises. As inflation rises, prices go up. This means the money you have in your bank account is essentially worth less because your purchasing power has decreased.Luckily, real estate prices also rise when inflation increases. That means any money you have invested in real estate will rise with (or often exceed) the rate of inflation. Therefore, real estate is a smart place to put your money to guard against inflation. One of the big benefits of investing in real estate over the stock market is its ability to provide a fairly steady and predictable monthly cash flow. That is, if you choose to rent out your investment property to a tenant, you can expect to receive a rent payment each month.If you’ve invested wisely, the rent payment should cover the debt obligation you may have on the property (i.e. mortgage), as well as any repairs and maintenance that are needed. Ideally, the monthly rental income would be great enough to leave you a little extra cash each month, as well. You could use that extra money to pay off the mortgage faster, cover your own household expenses, or save for another investment property.Even if you only take in enough rent to cover your expenses, a rental property purchase will pay for itself over time. As you pay down the mortgage every month with your rental income, your equity will continue to increase, until you own the property free and clear … leaving you with residual cash flow for years to come.As the owner, you will also benefit from the property’s appreciation when it comes time to sell. This can be a great way to save for retirement or even fund a child’s college education. Purchase a property when the child is young, and with a little discipline, it can be paid off by the time they are ready to go to college. You can sell it for a lump sum, or use the monthly income to pay their tuition and expenses. One of the unique features that sets real estate apart from other asset classes is the ability to leverage your investment. Leverage is the use of borrowed capital to increase the potential return of an investment.For example, if you purchase an investment property for $100,000, you might put 10% down ($10,000) and borrow the remaining $90,000 in the form of a mortgage.Even though you’ve only invested $10,000 at this point, you have the ability to earn a profit on the entire $100,000 investment. So, if the property appreciates to $120,000 – a 20% increase over the purchase price – you still only have to pay the bank back the original $90,000 (plus interest) … and you get to keep the $20,000 profit.That means you made $20,000 off of a $10,000 investment, essentially doubling your money, even though the market only went up by 20%! That’s the power of leverage. HGTV has countless “reality” shows featuring property flippers who make this investment strategy look easy. Commonly referred to as a “Fix and Flip,” investors purchase a property with the intention of remodeling it in a short period of time, with the hope of selling it quickly for a profit.This is a higher-risk tactic, and one for which many of the real estate “gurus” we talked about earlier claim to have the magic formula. They promise huge profits in a short amount of time. But investors need to understand the risks involved, and be prepared financially to cover additional expenses that may arise.Luckily, an experienced real estate agent can help you identify properties that may be good candidates for this type of investment strategy… and help you avoid some of the pitfalls that could derail your plans. With the huge movement toward a “sharing economy,” platforms that facilitate short-term rentals, like Airbnb and HomeAway, are booming. Their popularity has spurred a growing trend toward dual-purpose vacation homes, which owners use themselves part of the year, and rent out the remainder of the time. There are also a growing number of investors purchasing single-family homes for the sole purpose of leasing them on these sites.Short-term rentals offer several benefits over traditional rentals, which many investors find attractive, including flexibility and higher profit margins. However, the most profitable properties are strategically located near popular tourist destinations. 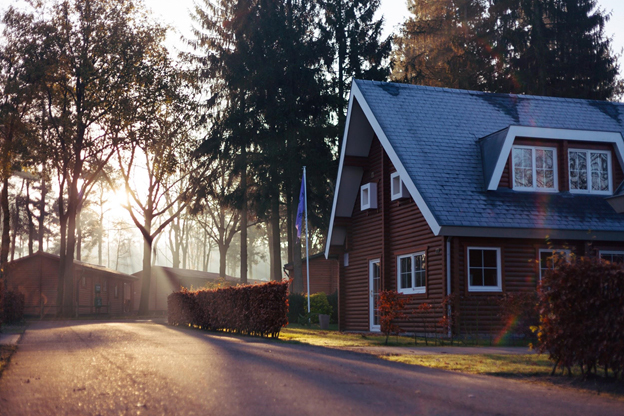 You’ll need an experienced real estate professional to help you identify the right property if you want to be successful in this highly-competitive market. 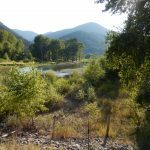 Great 5 acre parcel in Frenchtown, fenced and cross fenced for animals. Large shop and shed. Serviced by private well and septic. Older mobile needs new roof, important to do an inspection. Three bedrooms and two full baths. Large living room with a combo dining and family room adjacent the kitchen. The laundry room is also the mechanical room for the furnace and hot water heater as well as rear access to the backyard. Master bedroom and bath at one end and the other bedrooms and bath at the opposite end. Beautiful mountain views. Children bused to Frenchtown school. 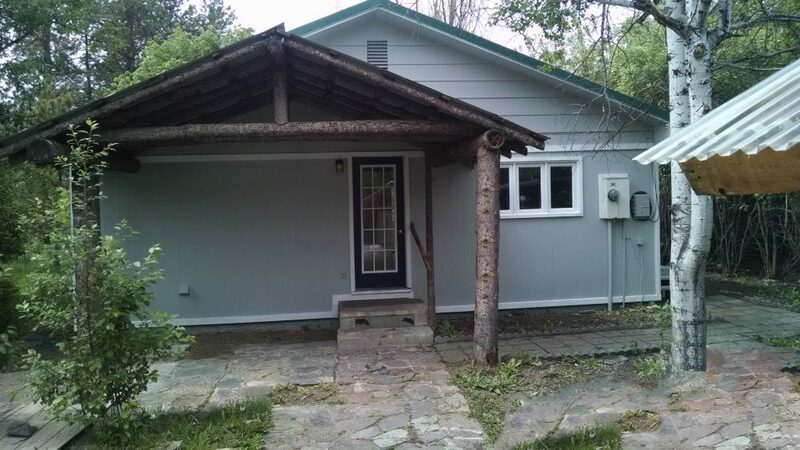 Cute little home in a newer subdivision close to Hellgate school. 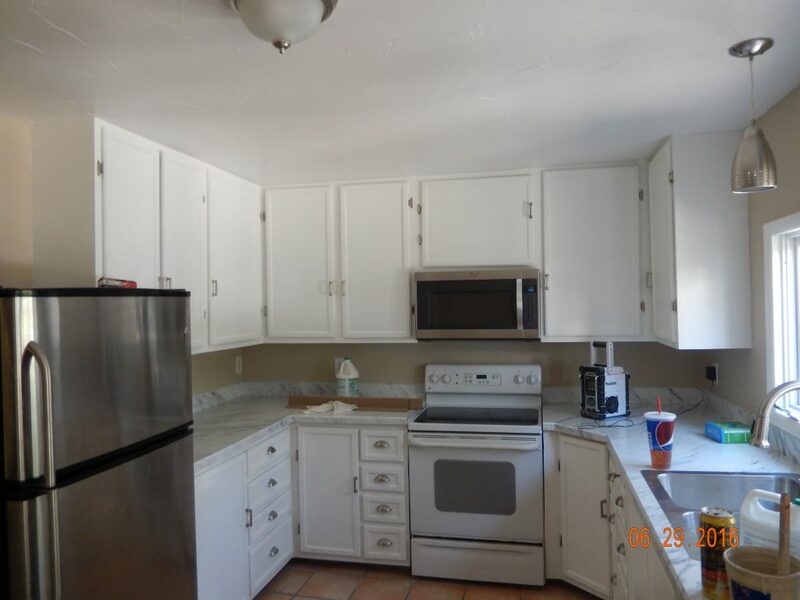 There are two bedroom, one bath, a laundry closet and single car garage with paved drive. The open floor plan includes the living room kitchen and eating area. Kitchen well appointed with lots of cupboards and all appliances. 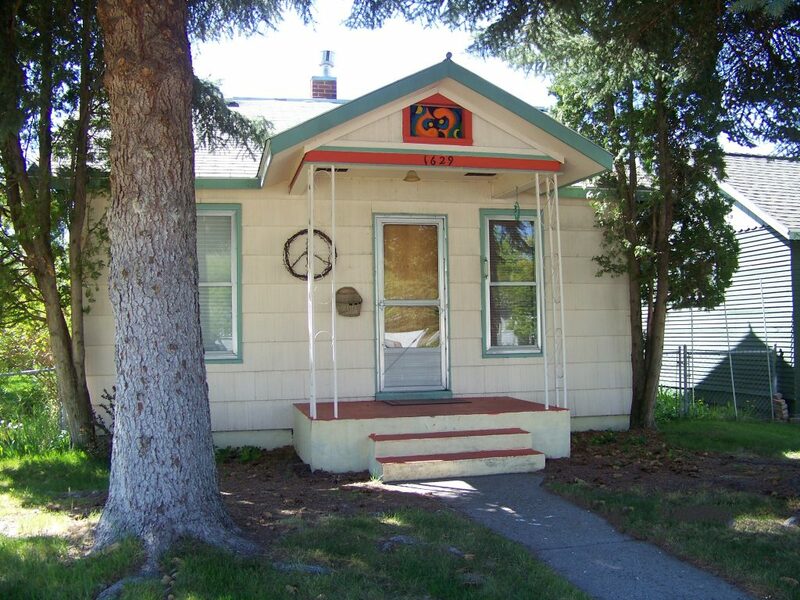 Great opportunity to own your own home in Missoula at an extremely affordable price. Move in ready. The water system is community owned and paid monthly by the homeowner. The fee is $40.00 currently. HUD Case 311-216686. HUD homes are sold ”As Is’ All measurements are from CAMA deemed reliable but not guaranteed. Buyers & agents must do their own due diligence. 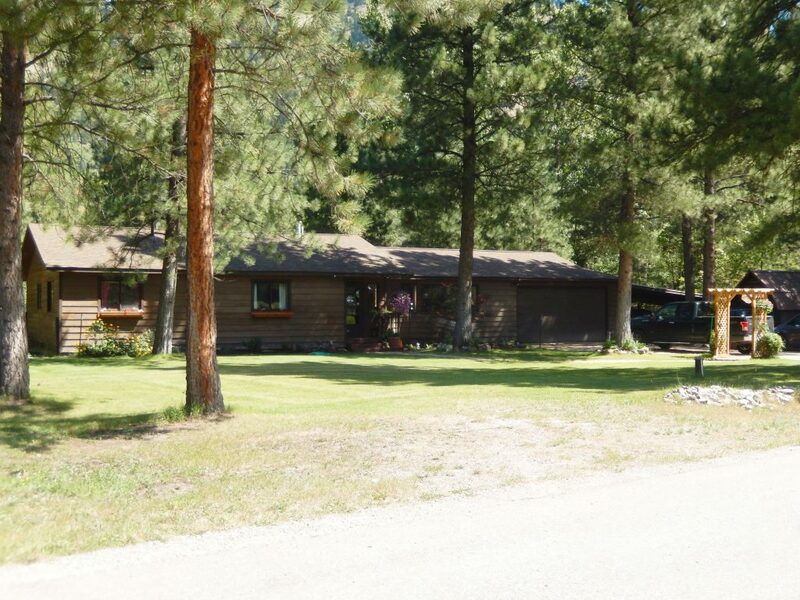 Serial #: H013064AB/DETITLED home on 0.46 acres. The backyard is fenced with a deck and a shed. Open concept living room kitchen and dining rooms. The sliding glass doors lead to the deck and the back yard. Off the kitchen is the mud room with laundry facilities, the furnace and a side door to the garage and yard. There is a wood burning stove in the living room. The master bedroom is at one end with a full bathroom while the other two bedrooms are at the opposite end with the other full bathroom. 14535 Hellgate Overview | Clinton, MT BRANDED from VisionMediaSolutions.com on Vimeo. 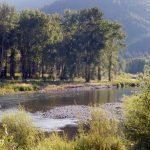 Looking for the best of country life yet close to Missoula? – Look no further. 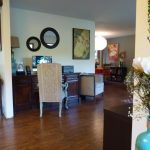 This great home has been remodeled top to bottom with new top of the line laminate floors throughout. Neutral interior paint including molding, trim, doors & windows brightens up the whole home. Brand new appliances and counter tops with tile back-splash enhance this ergonomically designed kitchen that is open on two sides one to the dining area and the other to the family room. New commodes in bathrooms, glass shower doors, accent tiling, faucets, taps and new sink counter combos turn these bathrooms into luxury finished rooms. Modern light fixtures show off the beauty of the open concept of the main rooms and of course, the bedrooms and baths. And if that isn’t enough there is even a brand new state of the art high energy efficient furnace installed. A wall was added to the family room to remove the outdated railing. 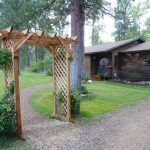 The exterior has had a face lift too with window flower boxes, an entrance Trellis with a graveled path and graveled driveway. Two new skylights have been added bringing more light into the house. The rear of the home boasts both a covered patio and a deck. A brick barbecue stands between the covered patio and the deck serving both fo r all your entertainment needs. 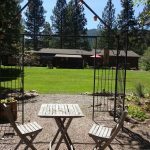 And the backyard … what a delight, the whole left side has been thinned out to provide a wonderful play yard, while the fully landscaped backyard holds a water fountain, gazebo, fire-pit and a patio for enjoying the great outdoors of Montana. The h ot tub off the master bedroom is negotiable. 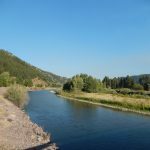 The property is bordered on the east and north by county held parkland with access through to the Clark Fork River. The parkland is in the flood plain so s tructures are not permitted giving you unhindered access and views of the river. For your personal showing call Sherry Fields, Realtor 406-329-2044, you’ll be glad you did. Cute Bungalow on a larger lot for the area with landscaping including fruit trees, bushes and vines, a garage converted to a studio and a covered patio. 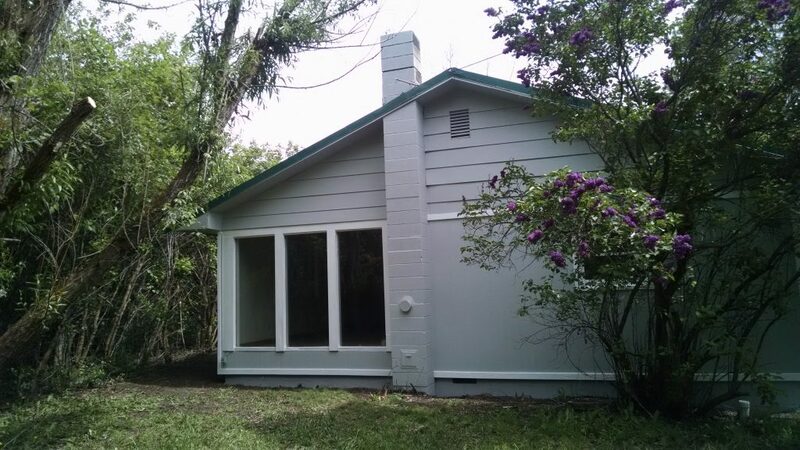 Two bedrooms and a bath on the main level with the enclosed porch heated and insulated to make a den or office. The basement while unfinished does have storage and a laundry room. 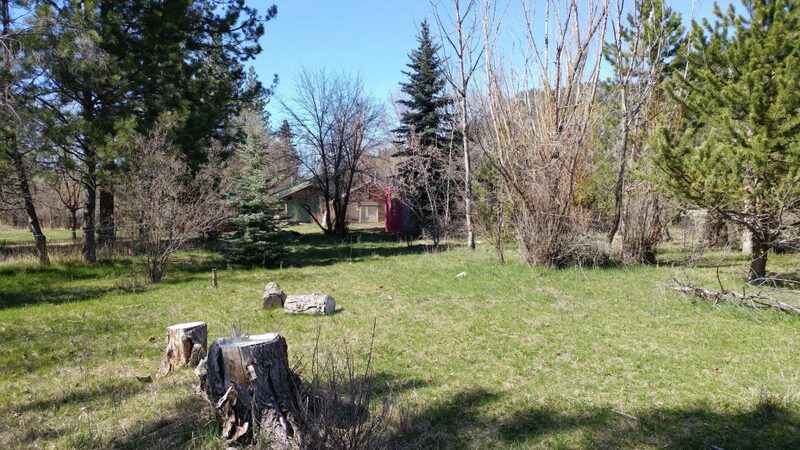 Fully renovated and ready for you to move in, this 2 bedroom 1 bath charmer sits on .64 acres with Donovan Creek running through the parcel.